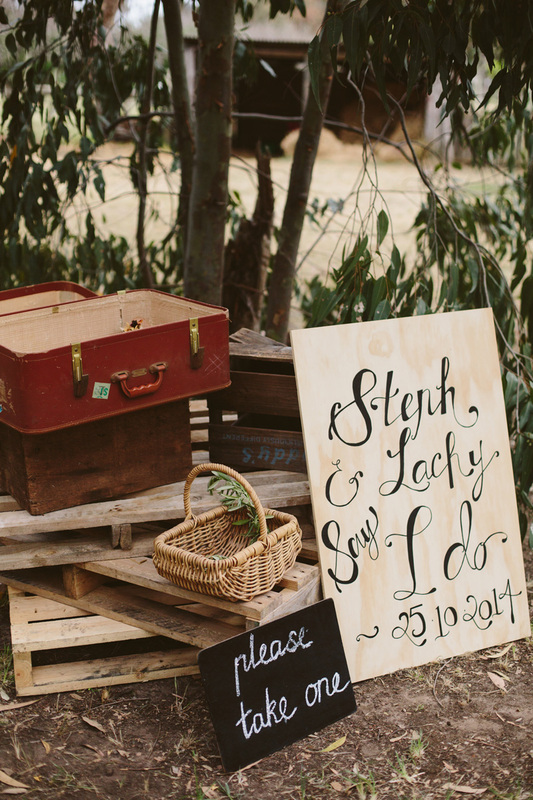 A romantic proposal paved the way for a wedding day filled with love for Steph Newbold and Lachlan Brown. 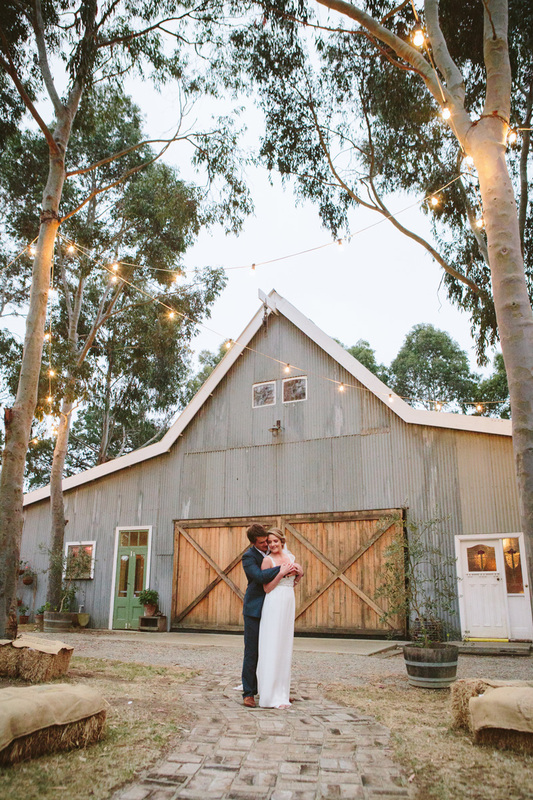 For their six-year anniversary, Lachlan surprised Steph with an adventurous weekend away complete with horse riding and a stay in a beautiful beachside property in Mornington. 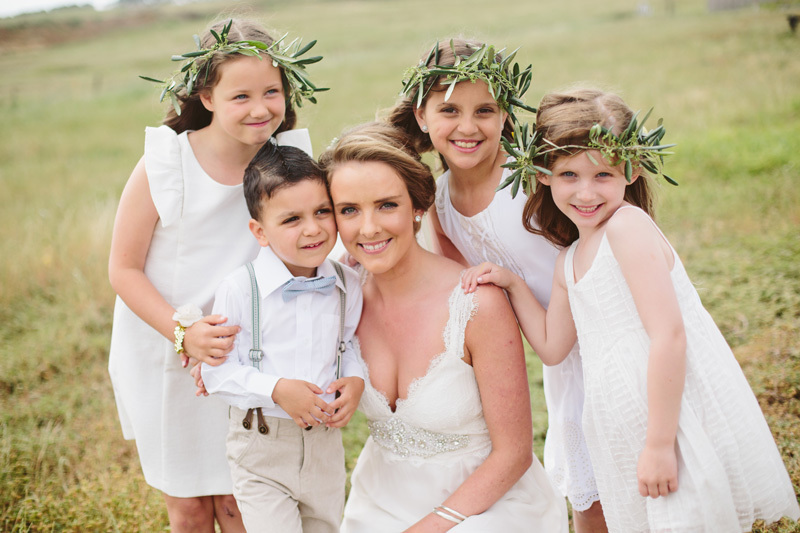 “It was this beautiful house up in the hills that looked over the bay – it was breathtaking,” Steph remembers. 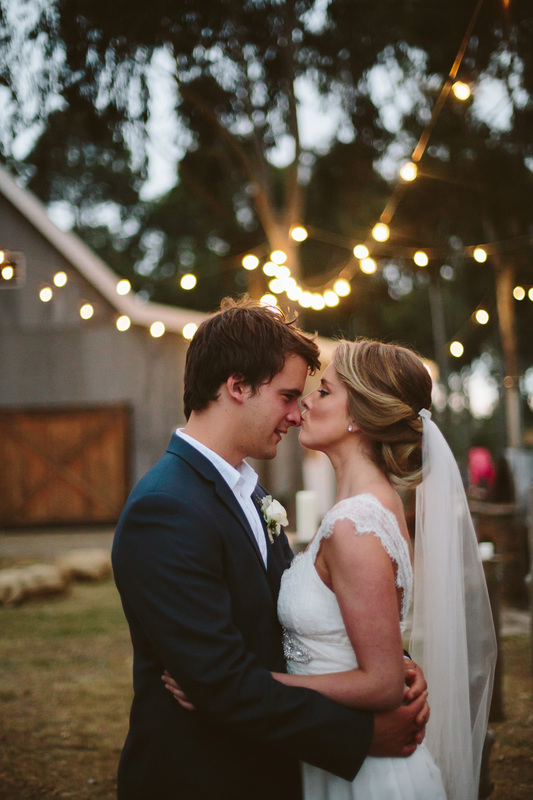 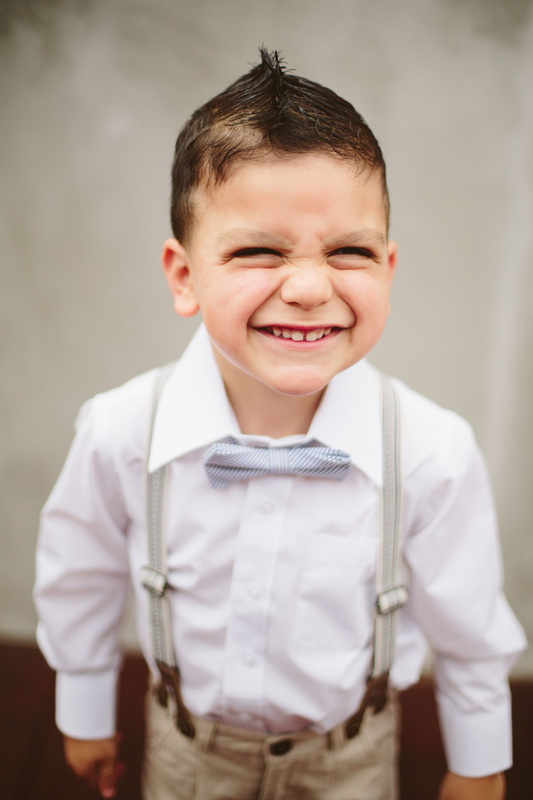 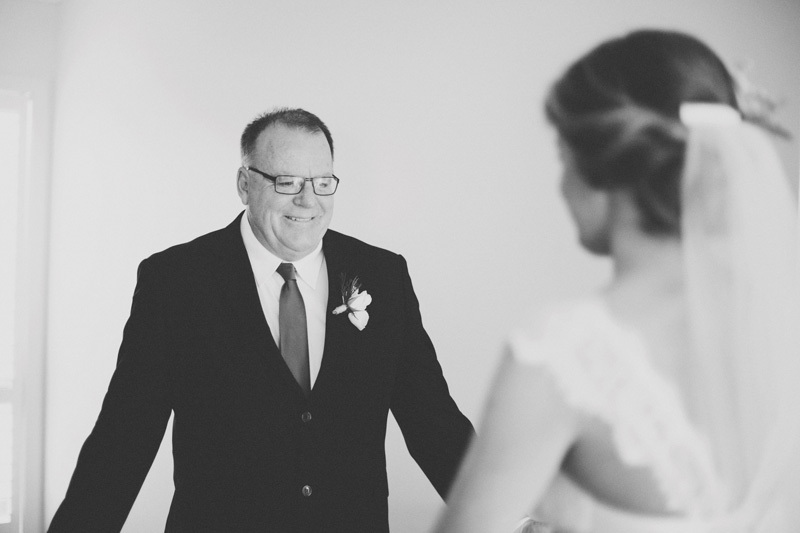 Lachlan continued to show his romantic flair when he chose All Of Me by John Legend for Steph to walk down the aisle at their wedding at The Barn in Wallington. 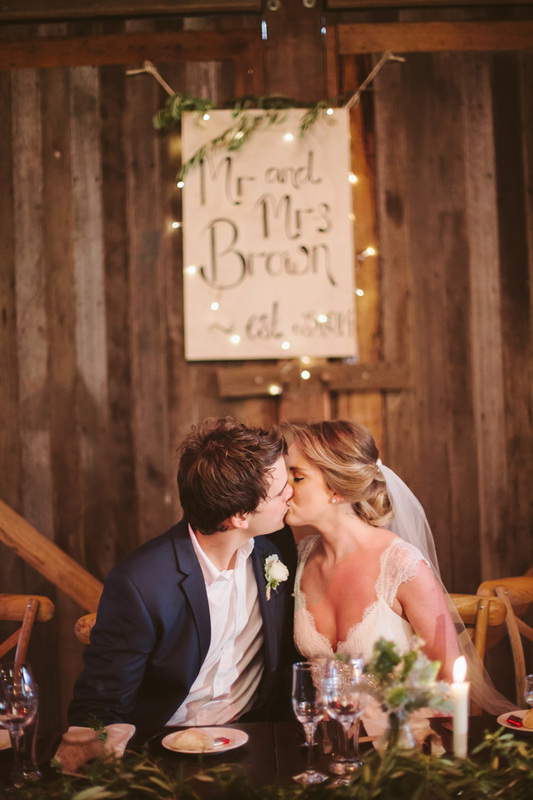 “My favourite memory is being surrounded by everyone so special to us and seeing my man standing at the altar waiting for me with a tissue and tears in his eyes,” says Steph, who looked stunning in a lace-trimmed gown by Anna Campbell. 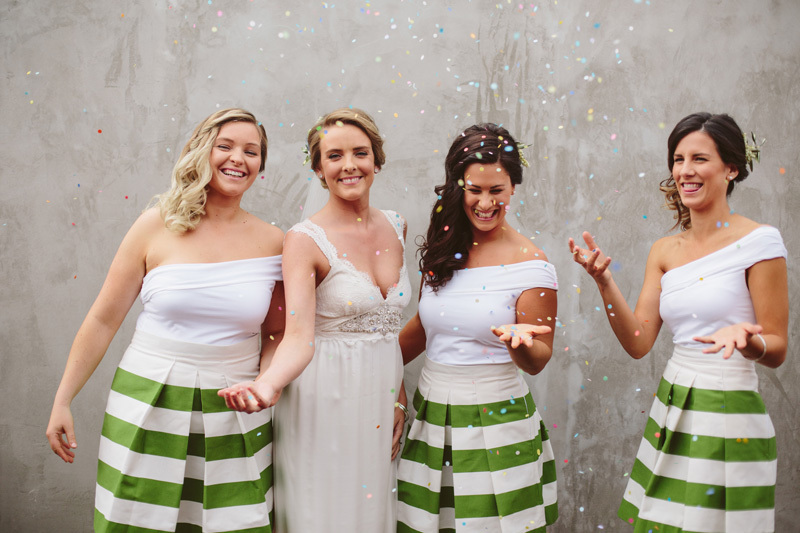 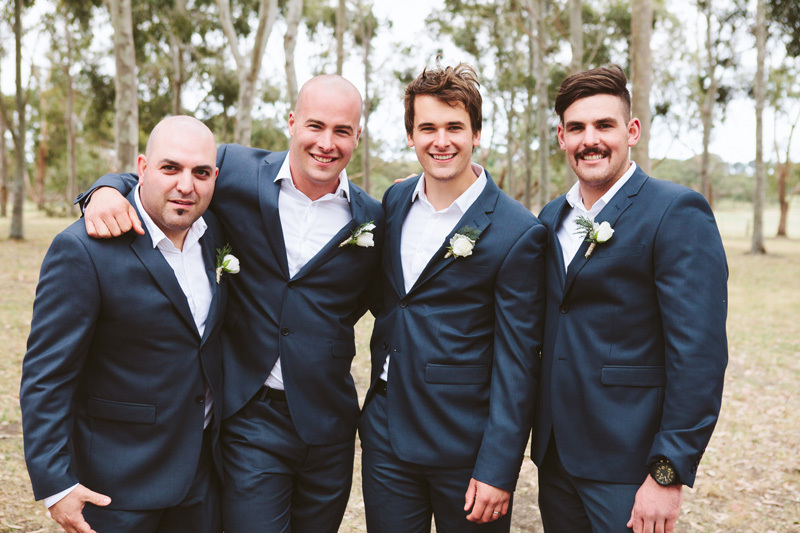 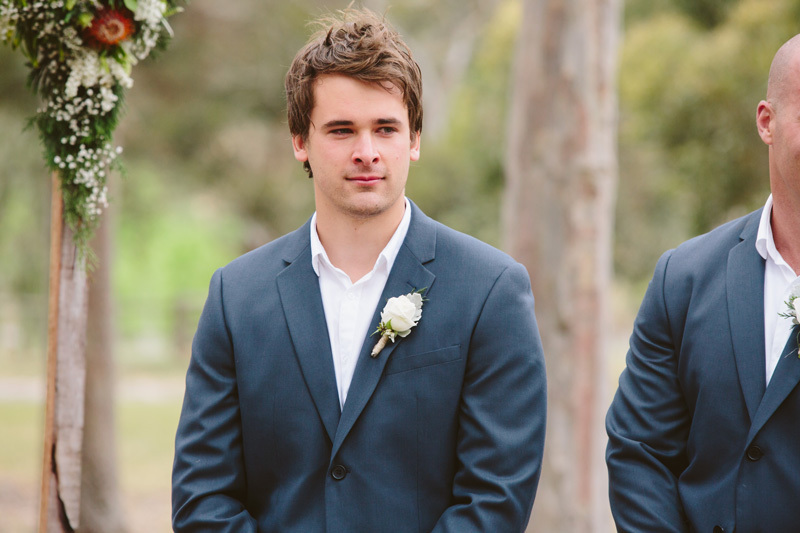 Lachlan and the groomsmen looked dapper in navy Roger David suits, and the bridesmaids matched the rustic setting perfectly with their striking green and white outfits. 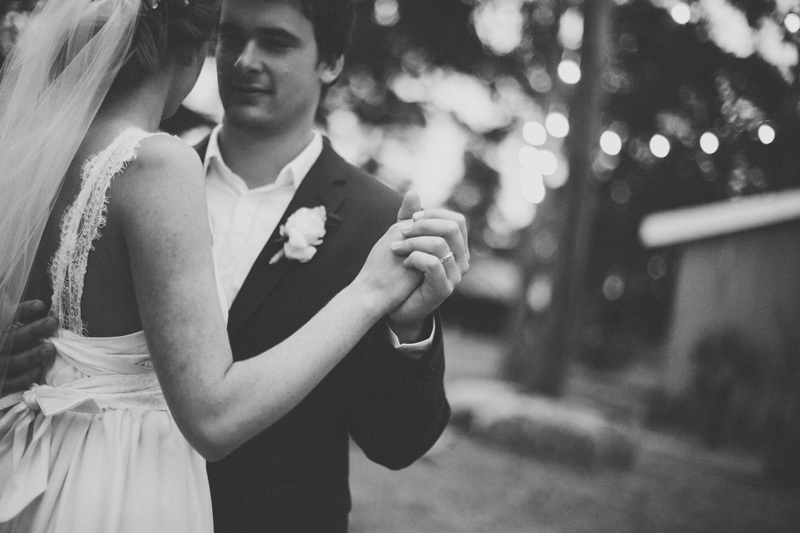 Steph and Lachlan worked together to put their own personal stamp on the day. 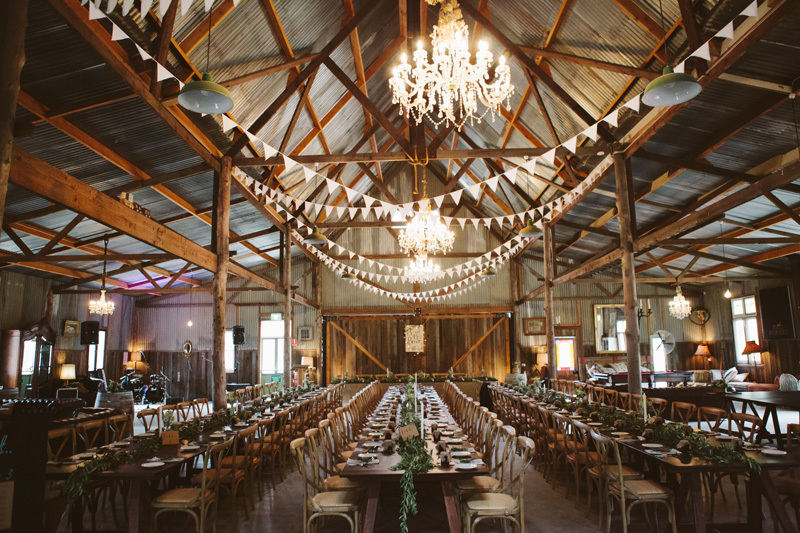 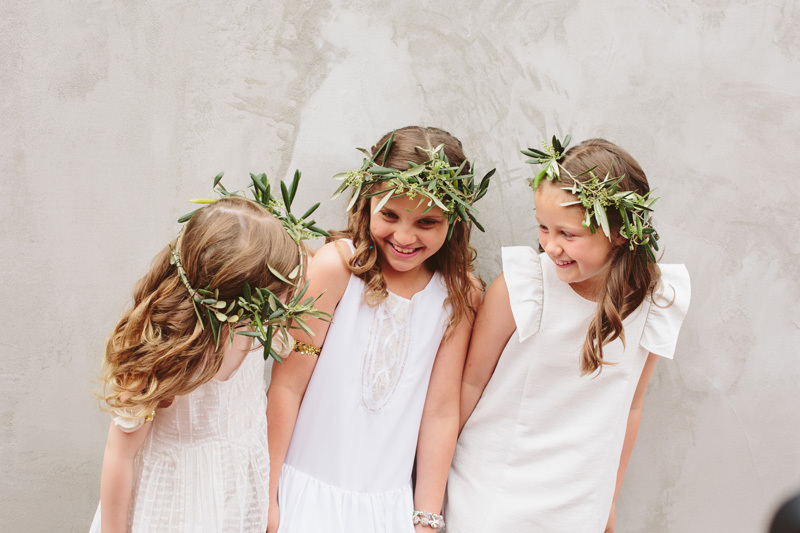 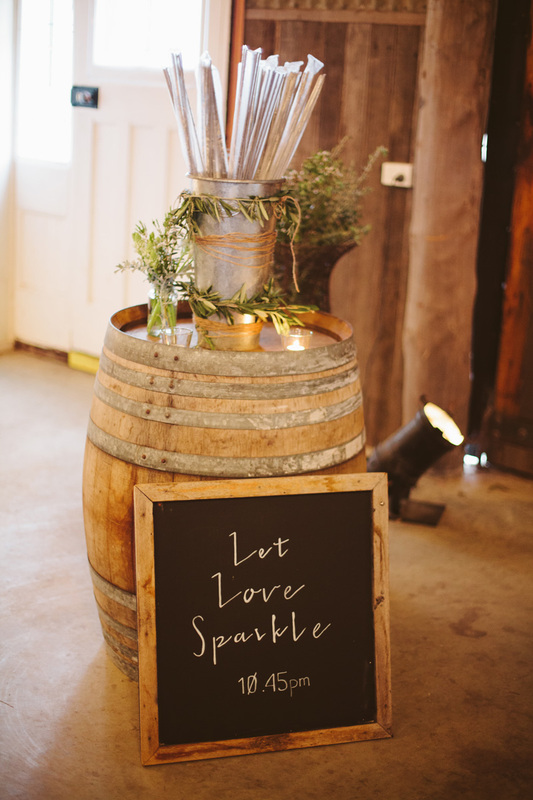 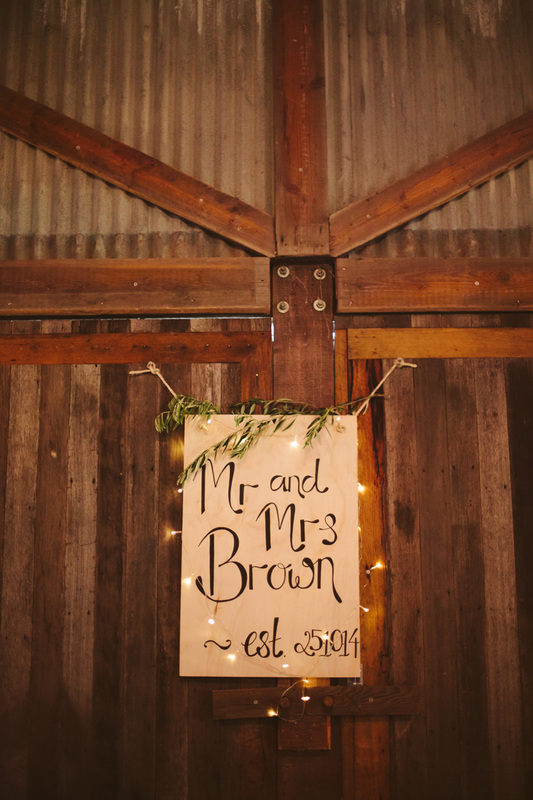 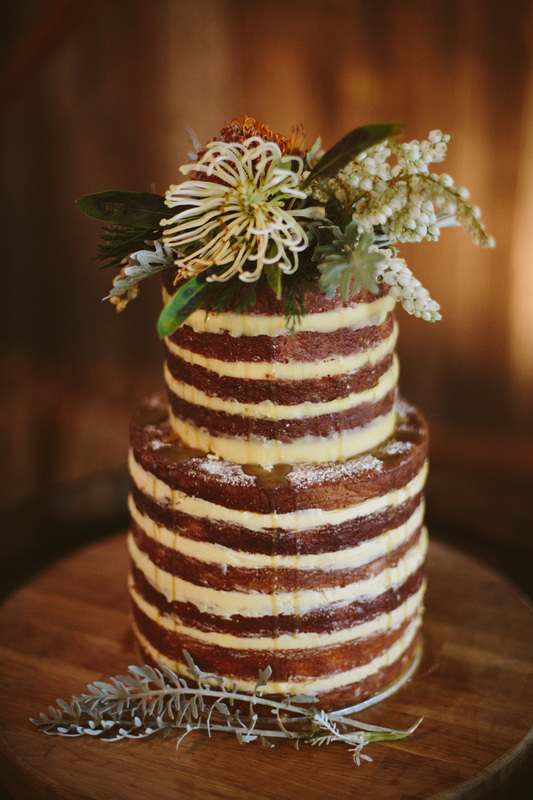 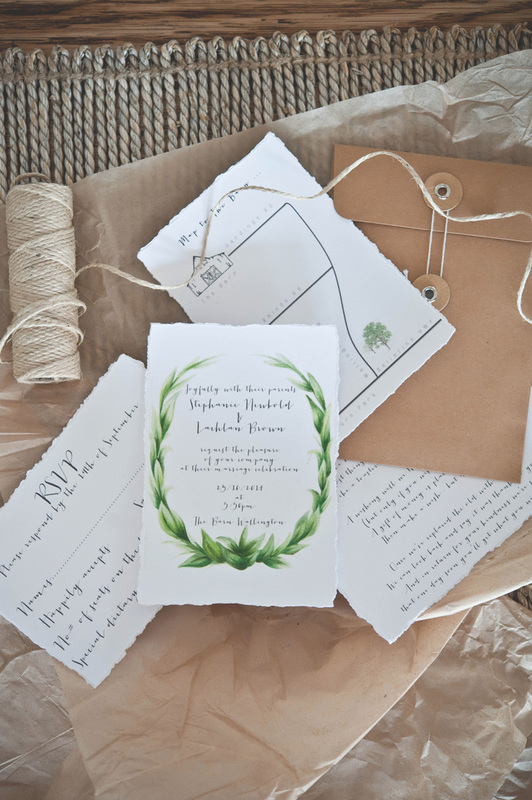 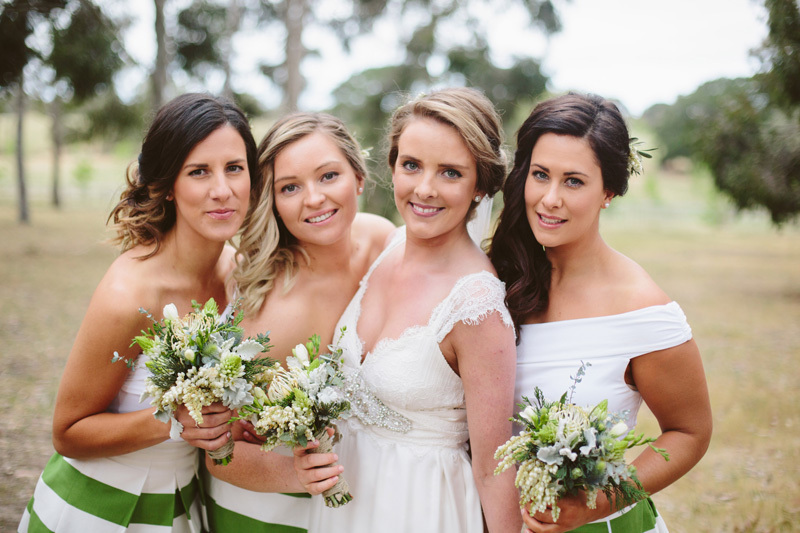 At their reception, tables were draped with freshly-cut olive branches from Lachlan’s mum’s tree – a theme which began in the gorgeous wedding invitations – and there were handpainted signs made by bridesmaid Elise. 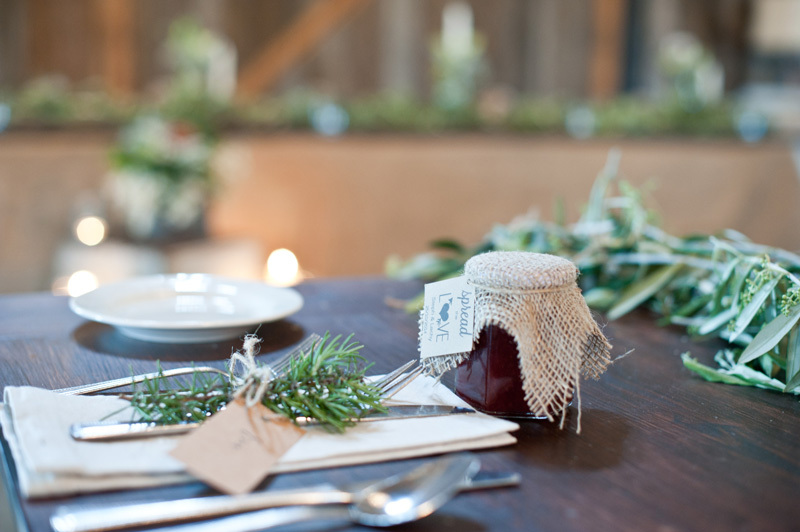 Acoustic songs handpicked by the couple played in the background and the 100 guests took home jam made by Steph and her bridesmaid, Ann-Marie. 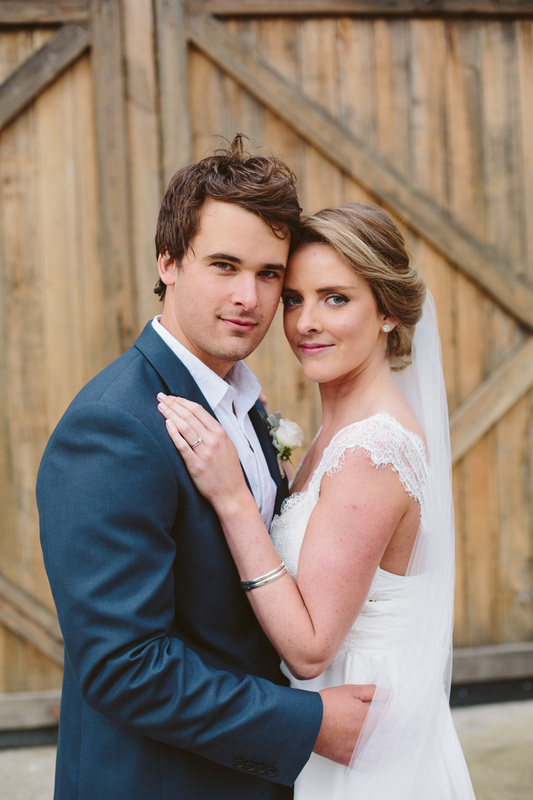 “We wanted our wedding to have a warm feel so everyone could relax and enjoy each other’s company,” Steph says. 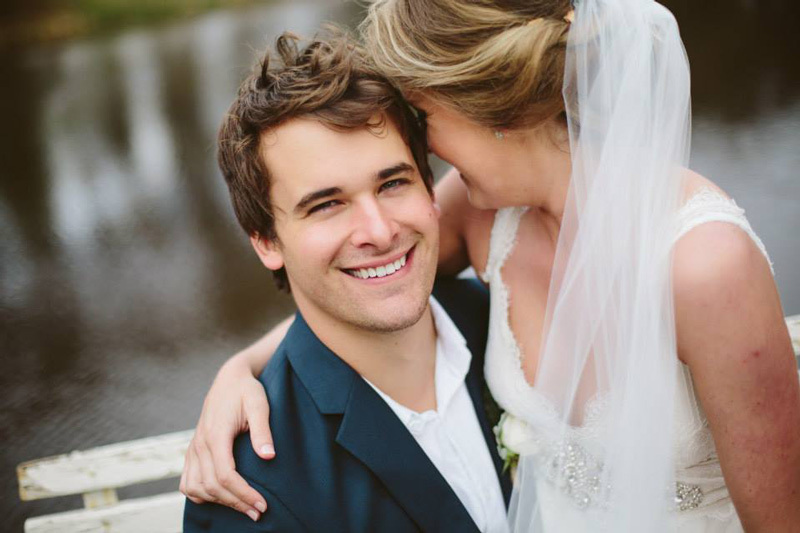 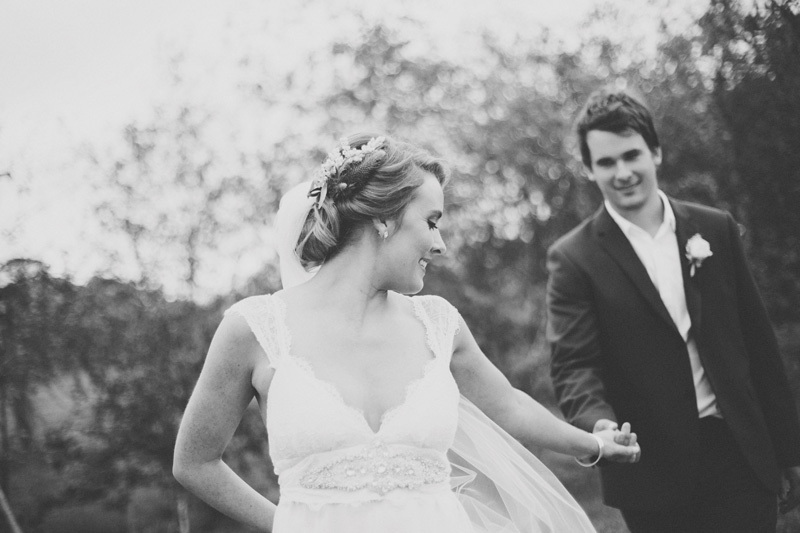 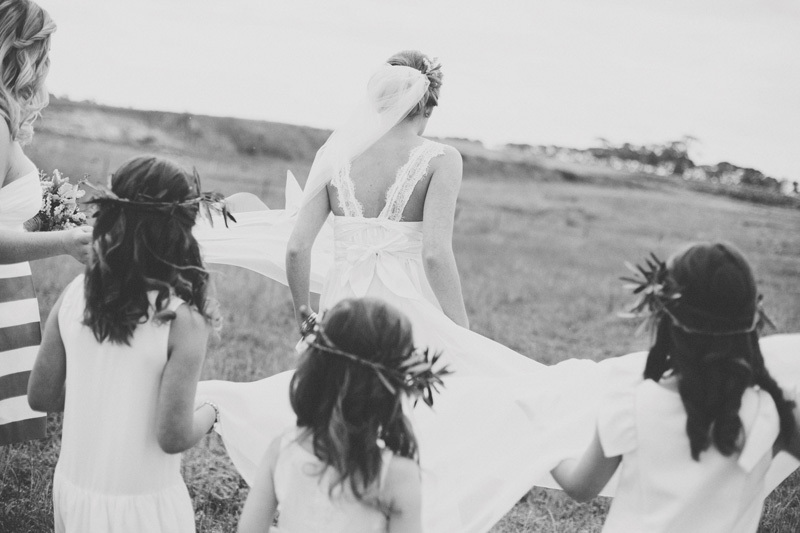 As a local wedding photographer, Steph says she loved having her turn to be a bride. 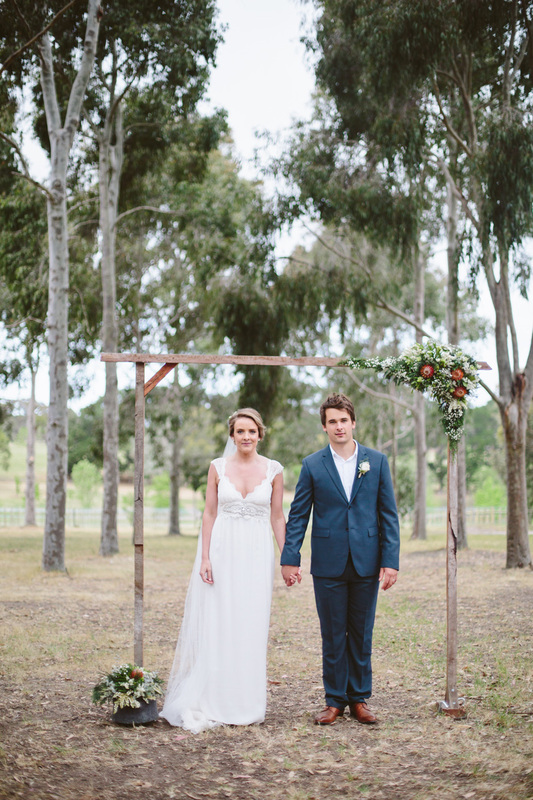 “It was so lovely to style ours – it was so much fun, and so much more than I ever dreamt of,” she says, smiling.